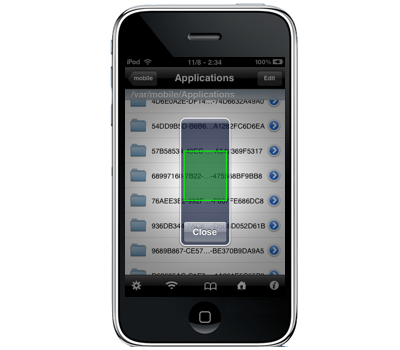 VolumeButtonExtender 1.0 is a new free application from BigBoss on Cydia. This tweak will permit you to control your iPod with the volume buttons on lateral side like Volume media settings but this one is activated without any toggle and you still keep the control of volume. 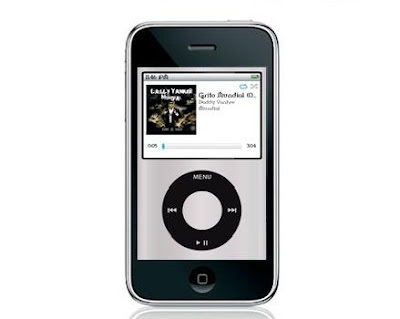 You can then easily listen to music, pause your song, forward it without looking at your device. 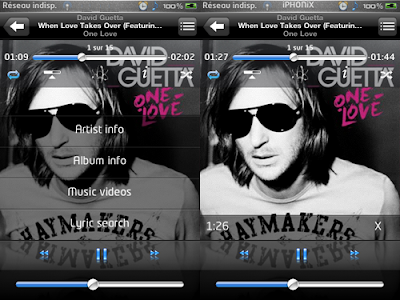 Maintain the top button during few seconds and instantly, you listen to a new song. Maintain the bottom button for back fonction. Maintain the both button to pause you song. Pack icons V1 for the application Categories from BigBoss available on Cydia. These icons are to illustrate your categories with the application. 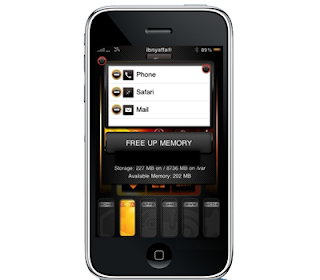 iMemory Enhancer is a tweak like Virtual Memory, it permits you to increase your free memory (RAM). Update : Version 1.06 released ! 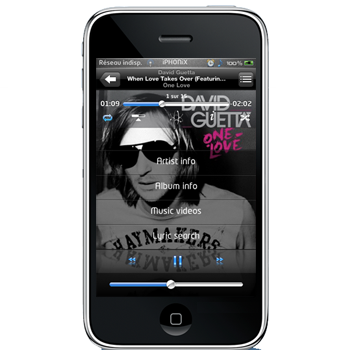 İRemix for the iPhone and iPod Touch enhances your iPod experience with some features you have always wanted and some new ones you will fall in love with. It seamlesslly integrates with the iPod and is built to let you access the songs, artists, albums and playlists you want faster than ever. New in v1.04 - January 29th, 2010 Fixed bug where in certain cases when adding to On The Go,your favorites disappear. New in v1.03 - January 28th, 2010 Fixed Lyrics scrolling issue. Add enhanced ffw/rew. Simply tap and hold the ffw/rew button to reveal. 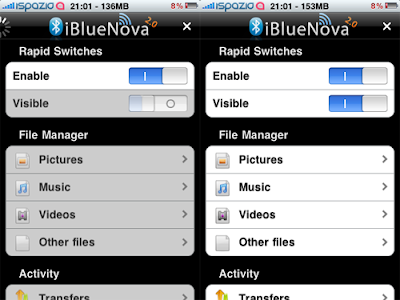 After many months of waiting, the application in the past called iBluetooth of the repo iSpazio will be soon available on Cydia, paying application. 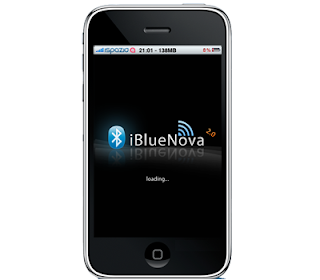 iBlueNova of MeDevil will enable you to completely release the bluetooth, it thus allows you the file-swapping, ringings, vidéos, music and images between the iPhone or iPod touch with any aircraft equipped with the function bluetooth. Here is a video of DarkMalloc, close to the Team iH8sn0w, which shows us a hack of the Boot logo. It seems that he found a way to have an animated boot logo. Then, Fake or not ? Update : Appsidy will issue a refund to everyone that bought this in the next 5-7 days. Some developers released a “pay” package called “Vroom” which sounded too good to be true. Unfortunately, it is. Do not install this package. Not only does it not do what it claims, but it is also somewhat dangerous and will wear out your iPhone with limited use. Read below for details. (Note: Zodttd has removed this package from Cydia, but it may creep up somewhere else). First, this package claims to speed up your iphone, increase your free memory by managing your daemons, and increase your battery usage. Sounds amazing right? Who wouldnt want this? So what does it really do? It enables memory swap on your device. What are the results of memory swap on your device? The free memory will appear to be better. That’s because it is using your disk as memory. But that’s not all. This package is actually just a stolen file that is already on your device, renamed. So that means the “developer” decided to take a file off his iPhone, rename it, and sell it to you for $1.99. Ok so the package is fraud. 1) Memory swap will create a disk file on your flash disk. The CPU will need to spend I/O cycles reading and writing to this disk file. The I/O cycles will cost you battery because it takes battery power to do disk writes. 2) Flash disk has limited life span. They say some 100,000 writes per sector then it is dead. Having a swap file running will be quickly writing to the same sectors wearing out your flash disk. 3) Writing to a page file takes some CPU cycles. Claim #1: Increases memory. Sort of. It creates a disk swap. Result is iphone will appear to have more memory. Some apps may crash less. This isn’t all bad. (I think I will release a free package that enables disk swap with a strong warning on it for those that want this). Claim #2: Manages your daemons. FALSE / lies. It is the apple dynamic_pager file. It does only that. It does not manage your daemons. Claim #3: It speeds up your device: FALSE. In fact, disk swap actually slows down the device because there are extra disk write used in order to access memory. Claim #4: It provides better battery performance: FALSE. In fact it actually causes your battery to drain faster because of the disk write I/O cycles and the extra CPU required. Claim #5: It allows your iPhone to boot at 2% rather than 15% battery. FALSE. This is built into the device not the iPhone OS. (Just like DFU mode). You cannot make changes to this. 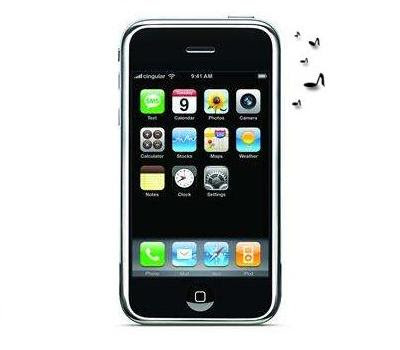 Claim #6: It allows your iPhone to run until there is 1% battery rather than 5% before it shuts off. FALSE. See #5 above. Finally, the package in Cydia was packaged incorrectly. Daemon plist was owned by user 1000. Launchctl will not load any daemon not owned by root. This caused the daemon to not start. With that bug, the paging system is not even enabled resulting in no change in performance! (LOL again). Anyone claiming to install this and finding a boost in speed, battery, etc is experiencing the placebo effect. This all reminds me of the scam last year with the fake app I dont crash. At least that guy wasn’t trying to charge you money. Note : enabling memory swap also seems to break google maps app. MCallShow is an application that lets you know the information of the phone number,like which network that number belongs to, including City, Region, and Country. 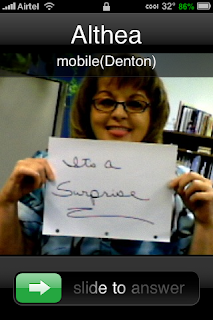 It will also tell you all those information when you dial a number. Even you can manually launch the application and feed the number there and get the info about that number. Once you install this app you need to download the database of the country which is available for free, at a time you can install single or multiple databases. It works without any issue, but when you want to manually search the info about phone number by launching the app, you need to select the country database if you are using multiple database. Update : Link fixed ! 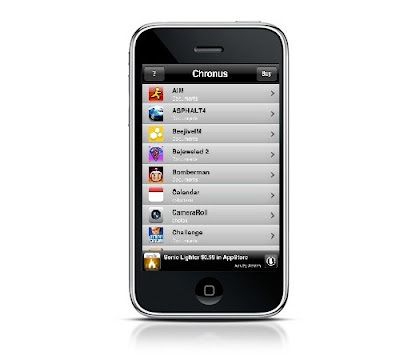 Chronus is a 3rd party application for iPhone and iPod Touch. It can keep multiple states of a particular program by saving its preferences/settings/databases. These states are restorable. 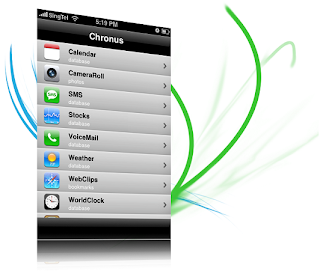 Currently, Chronus supports backup/restore of the following default apps: Contacts, Call History, Calendar, CameraRoll, Maps (bookmarks & history), Maps (caches), Notes, Safari (bookmarks & history), SMS, Stocks, VoiceMail, Weather, Webclips, WorldClock, and YouTube (bookmarks). You can also backup and restore data from applications downloaded from the iPhone App Store. 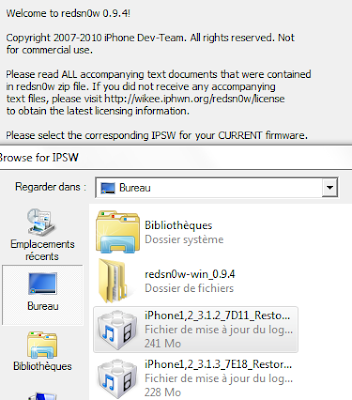 How to grab a DEB file from Cydia ?? How to install ringtones from iTunes for free ?? How to convert an application of Cydia into IPA for iTunes ?? How to get apps for free ?? This is a pretty neat little application. I’m not sure how much I’ll use it but I tried it out and it does what it says. It gives you a little layout of the area that’s scrollable within the current app and a green box where you are currently scrolled to. You can drag the green box around to quickly scroll to another area. How to have two icons of the same application on your Springboard ? install0us is an application developped by puy0. 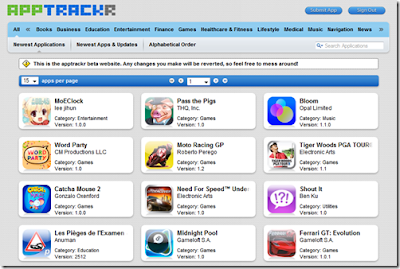 This application will permit you to download and install applications not officially bought from the AppStore with your iPhone or iPod Touch, without any computer. 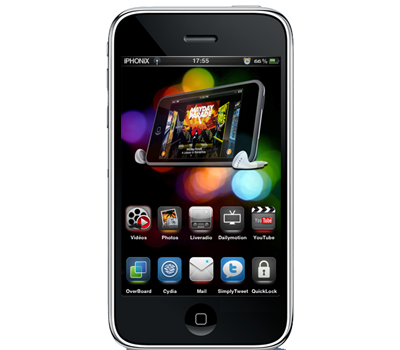 - jailbroken iPhone or iPod Touch. - Appsync installed from Cydia. Browse tha applications you are looking for !! Winscp v4.2.5 is a software which permits you to connect your jailbroken iPhone with SSH using Wifi. The configuration is simple and fast ! 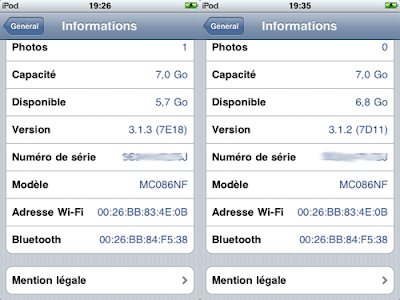 NEW iPod Touch 8Go with serial number "MC" have a new iBoot and then implies a tethered jailbreak. For a user who has updated recently his iPod Touch 2G MC to the Firmware 3.1.3, you can easily downgrade to the Firmware 3.1.2 and then, use Blackra1n or Redsn0w 0.9.4 to jailbreak !(jailbreak). Since a while, Apple has updated his iBoot and it implies with the actual tool of Geohot, Blackra1n, a tethered jailbreak. 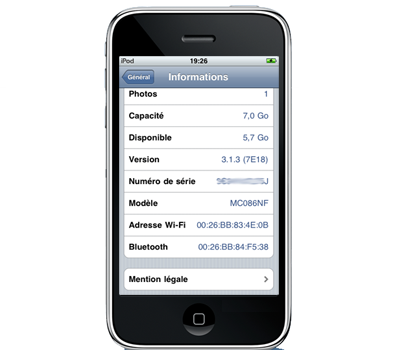 Indeed, the new iPhone 3GS and iPod Touch 3G with a serial number like MC... are only able to have a tethered jailbreak. Then, if your jailbreak is tethered, identify you iBoot number and post it in comments! 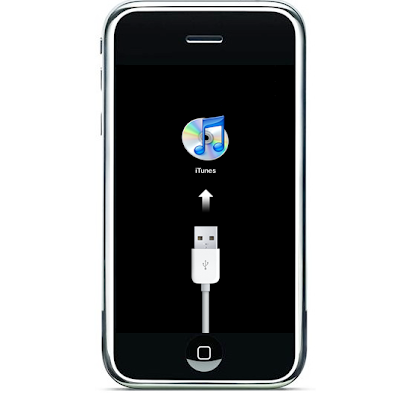 Jailbreak tethered : You must start Blackra1n with a PC and your iPhone USB connected to reactivate your Springboard each time you will reboot your device. iBoot : iBoot is the bootloader responsible of the processor of applications on the iPhone. iBoot is in charge to allow recovery mode for iPhone. reboot your iPhone, and if the cable appearst, you have a the new iBoot and actually no softwares are able to have a jailbreak untethered. 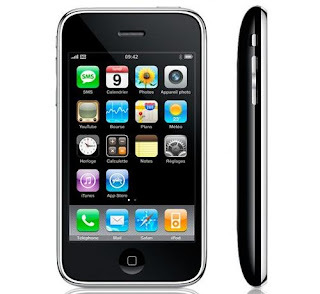 - iPhone or iPod Touch. - Know how to connect to SSH. - or iFile directly with your iPhone. Edit the file with Notepad or editeur.plist or with iFile on your iPhone. 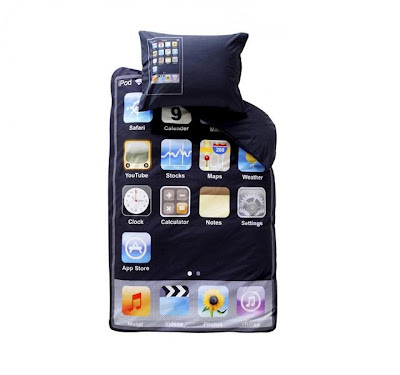 Sleep To Lock locks and shows the slide-to-unlock screen without sleeping, press once more to sleep like normal. I've passed by this one several times in the tweaks section of Cydia, but today I finally decided to check it out. Have to say, this is a really sweet tweak to the native function of the sleep button. Instead of initially going to a black screen (sleep mode) it segments the first press of the button to your lock/slide to unlock screen, the next press will then put you into sleep mode. Also, if you have a nice looking battery, it sort of animates it, like its zooming into your battery upon the first press (when it changes from the Springboard to lockscreen)... Its also nice when your in Cydia or another app and you are waiting for it to load; when it times out or takes longer than your initial "sleep/lock" setting is set for, it will default to your lockscreen for x amt of time before going into sleep mode (x= the setting you have for Dim to lock) instead of going to right into sleep mode. If you are accustom to pressing the sleep button to toggle to your lockscreen and for initializing sleep mode before you slip your phone into your pocket, this is a "must have". While this is available for free in the Cydia store, many of you have probably passed this one by again and again...so maybe this post will provide a little more info and at only 3.27KB, convince you that this app is certainly worthy of a quick download. Cycorder does MJPEG compression: the same as that used by most point and shoot digital cameras that also happen to support recording video. Video files are recorded at 384x288, a 4x3 (television) aspect ratio. Quality is noticeably higher than that of iPhone Video Recorder (which uses a very lossy compression algorithm at a low framerate in order to obtain its small video sizes). 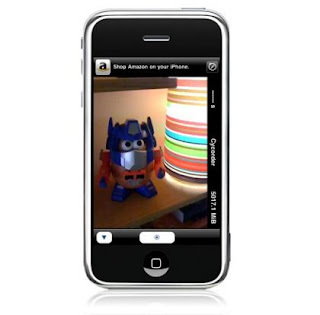 Record at the maximum speed of the iPhone camera (6-15 frames per second, depending only on lighting conditions) with no compression delay between pressing stop and getting to view the resulting video. Cycorder encodes Quicktime using FFmpeg, which is licensed under LGPL. 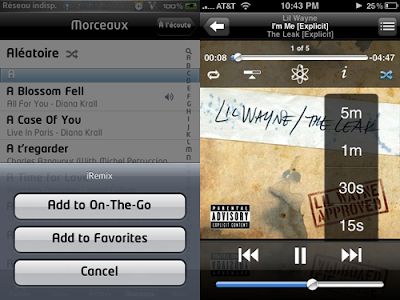 iClassic is a media player for your library, that mimics the interface of the famous iPod Classic. 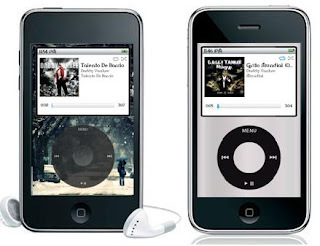 It will fully emulate the iPod Classic's functionality, including using the old-school Click Wheel. Unfortunately, the app will not support games in this release but it is being worked on for future updates. The app is expected to cost $2.00 from the Cydia Store. 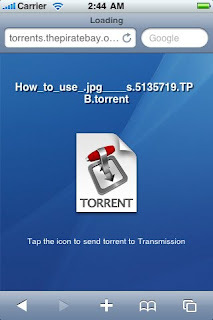 A Mobile Safari plug-in that recognizes BitTorrent files and downloads them on your home PC or Mac running the Transmission client. Easy to set up and it works flawlessly. Seems like it was kind of hidden so I posted this free app hear to gain some additional exposure. Released last Tuesday, iPhone OS 3.1.3 was a minor update, bringing a battery reporting fix, fixing an issue where third-party applications would not launch, and patching a number of security holes. In its first six days of release, an estimated 14 percent of users opted to upgrade, mobile ad group Medialets reported Monday. As of Feb. 6, most iPhone users — 72.3 percent — were still running iPhone OS 3.1.2, while 3.1.1 has 0.8 percent of users, and 3.1.0 has 4.6 percent. About 13 percent of total users are running a version prior to 3.1.2. The company also noted that it saw a 13 percent drop in installs of 3.1.2, meaning 87 percent of the upgrades to iPhone OS 3.1.3 came from users who were already running the latest version of the mobile operating system. 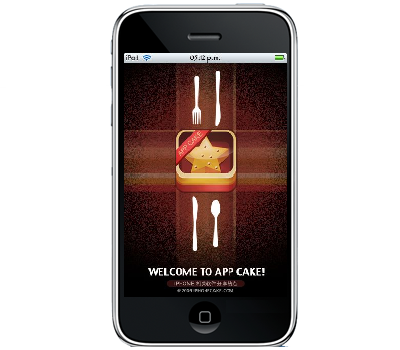 The statistics were obtained through developers’ applications the service tracks through the App Store. Following the release of the latest iPhone OS upgrade, the Dev Team, which is the leading group of hackers that work to “jailbreak” the iPhone and allow users to run unauthorized code, released their latest hacking tool. Dubbed PwnageTool 3.1.5, the Mac OS X software allows users to upgrade to Apple’s latest release while preserving a jailbreak and carrier unlock. 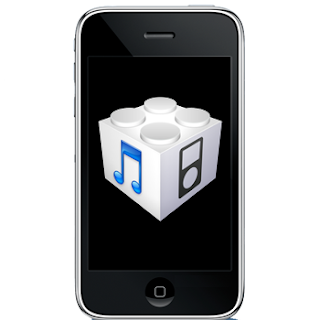 Last summer, the first jailbreaking tool for the iPhone 3GS was released. 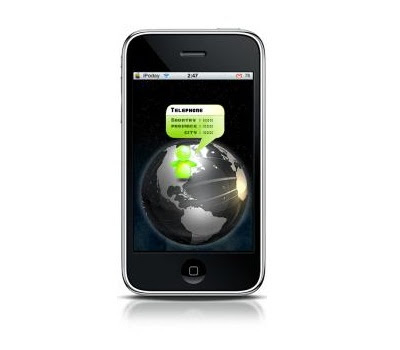 Apple later quietly updated the iPhone 3GS to thwart potential hackers, but a workaround was discovered in November. Last year, Apple posted a job listing to hire a new iPhone OS security manager to help lock down its mobile operating system. 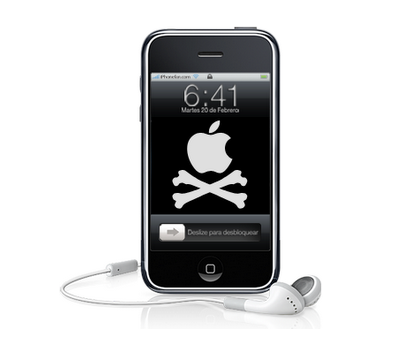 While jailbreaking an iPhone can allow unauthorized capabilities such as multitasking and custom wallpapers, it can also be used to pirate software from the App Store. How to find and download IPA freely ? 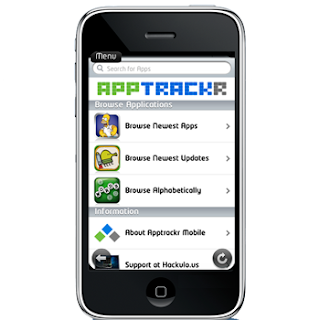 Apptrackr.org is website where you can find almost everything you are looking for ! !